Mostly cloudy and wet weather is in place for Wednesday with rain expected to fall in South Jeolla Province and Jeju in the morning and later across the country. 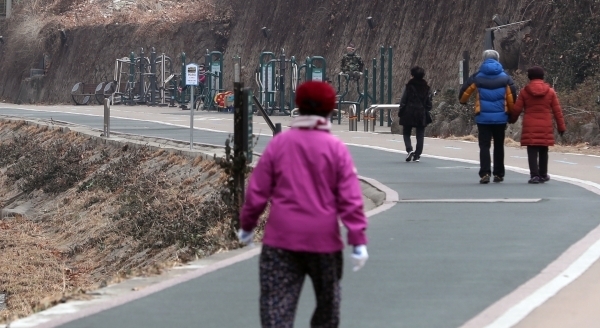 Up to 120 millimeters of rain is forecast to fall in southern regions and mountain areas of Jeju, while up to 15 centimeters of snow is expected overnight in mountain areas of Gangwon Province, according to the Korean Meteorological Agency. In Seoul and Gyeonggi Province, up to 20 millimeters of rain is expected. Morning lows will hover from 4 degrees Celsius in Seoul, Incheon and Daegu, 8 C in Busan, 9 C in Jeju, while the warmest daytime high will be up to 18 C in Jeju. Tomorrow’s weather will be mostly cloudy in the morning, but will be clear from the afternoon.